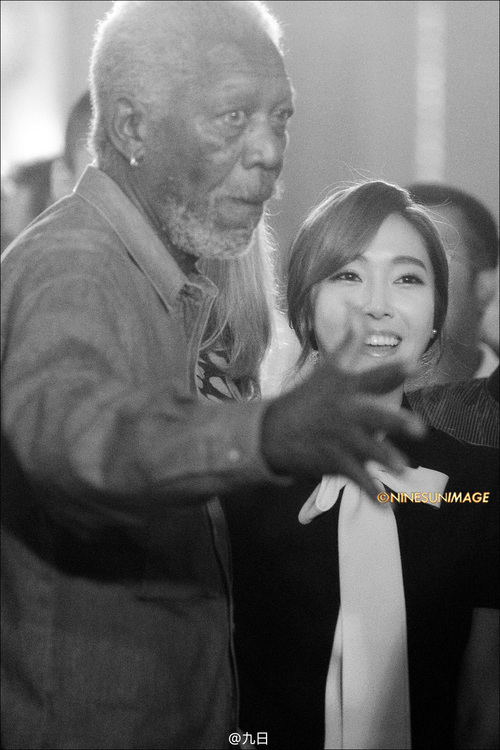 morgan Freeman with Jessica Jung. . HD Wallpaper and background images in the morgan Freeman club tagged: photo kpop korean pop girls' generation snsd korean. This morgan Freeman photo might contain picha, headshot, and closeup.